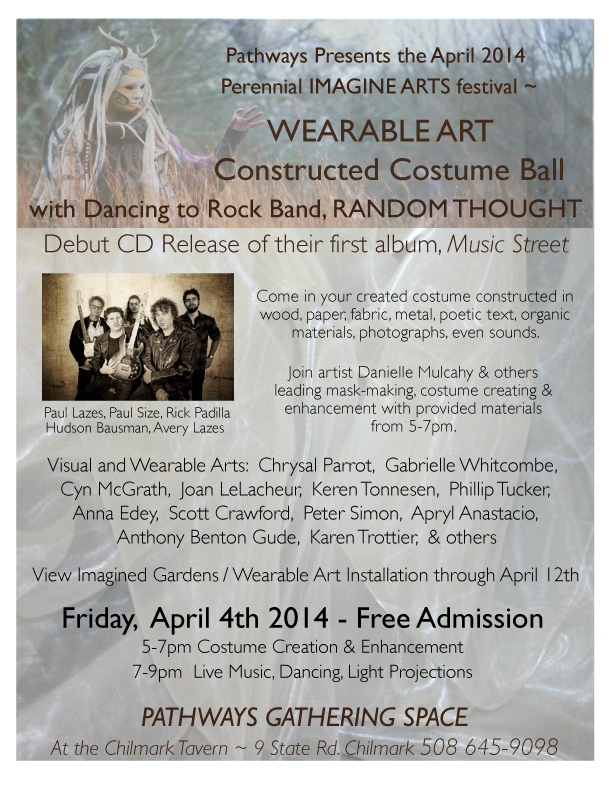 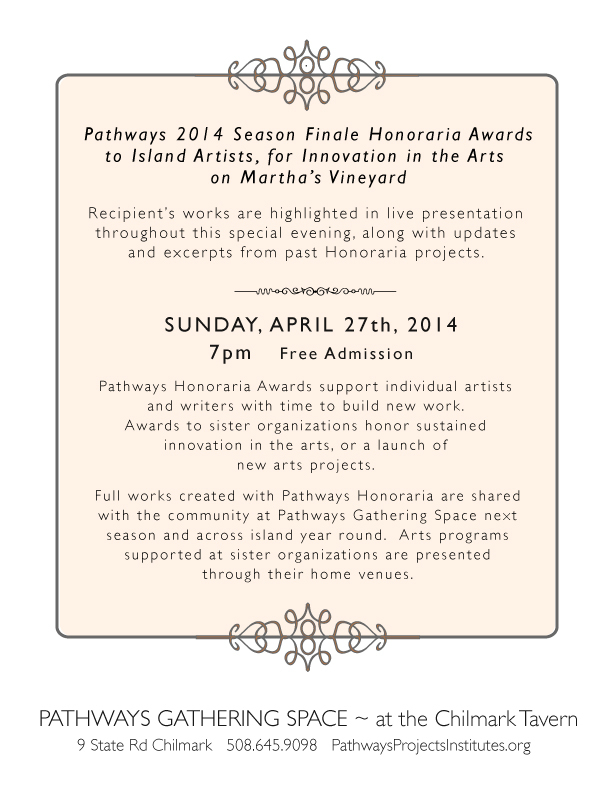 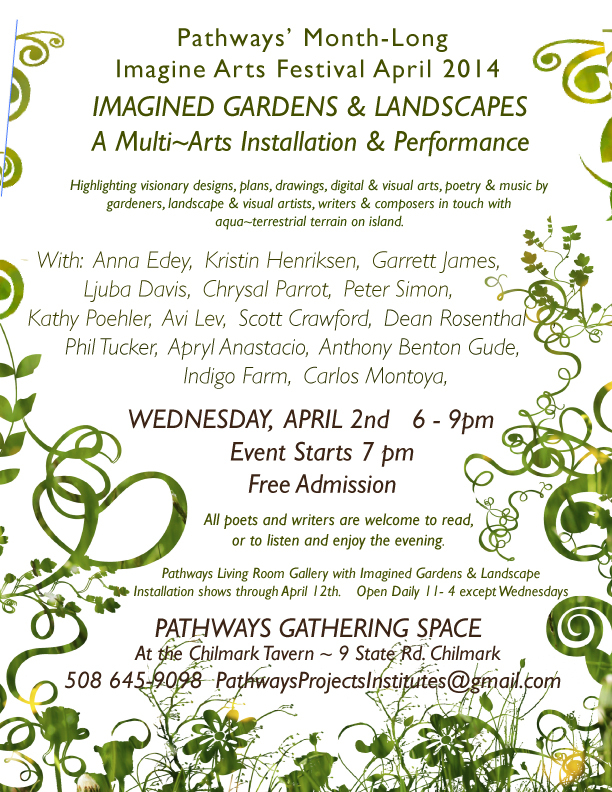 Pathways Month-Long Imagine Arts Festival Continues with…. 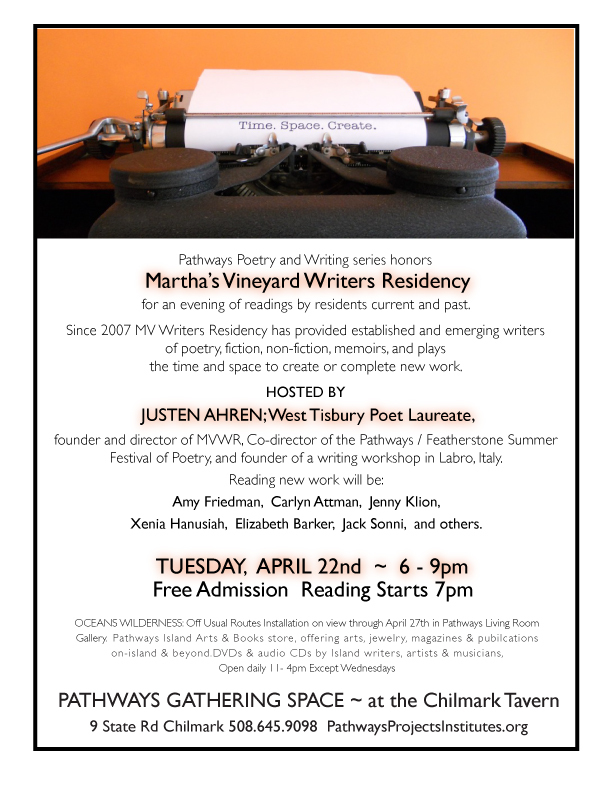 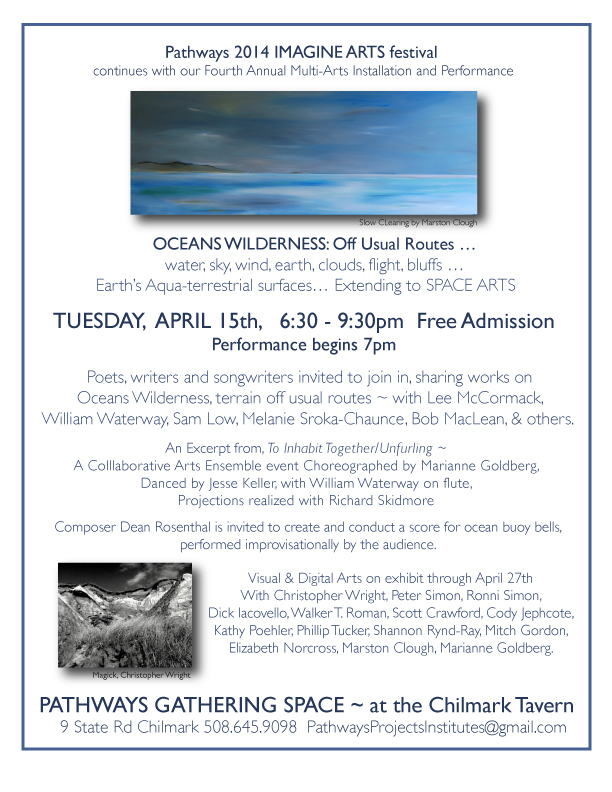 a discussion about Oceans Stewardship along the shores of Martha’s Vineyard. 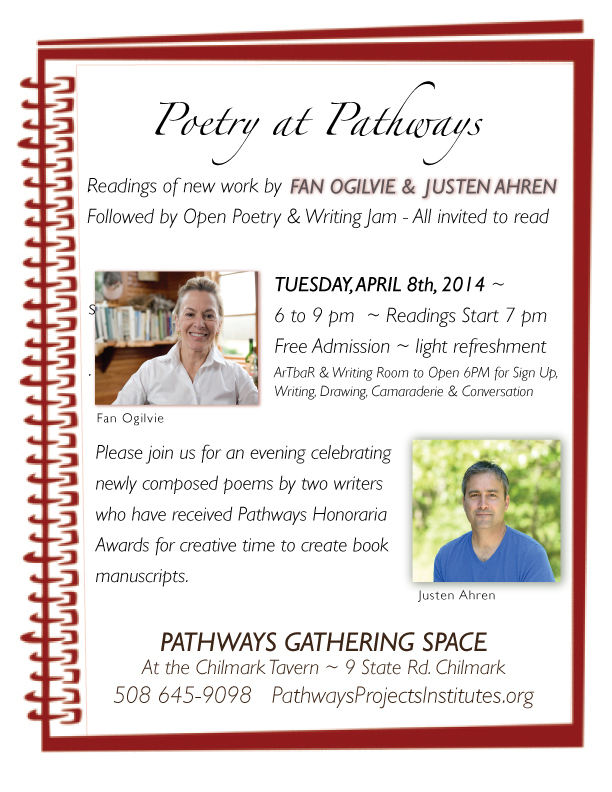 Co-hosted by Bob Maclean and Marianne Goldberg. 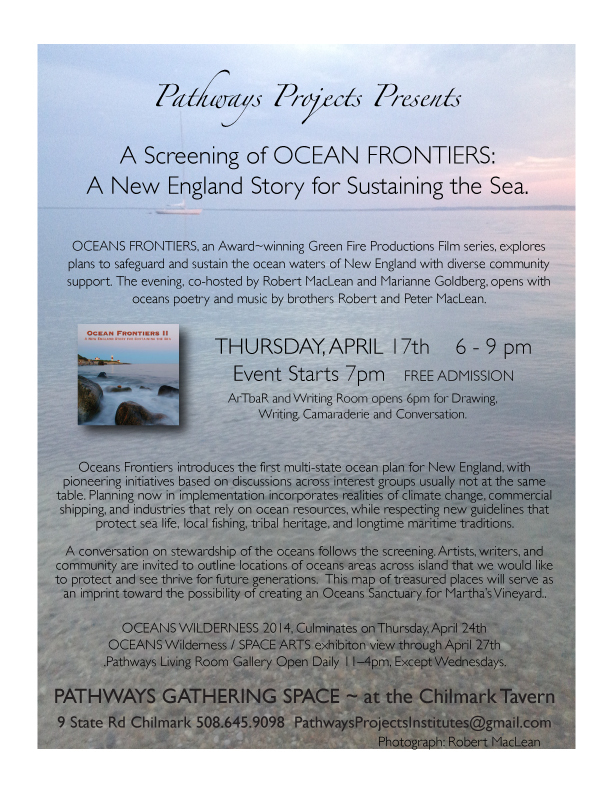 Award winning Green Fire Productions second film, in a two part series, informs on a national multi-state ocean plan, where old residents and new are forming coalitions to safeguard our ocean and the livelihoods it supports. 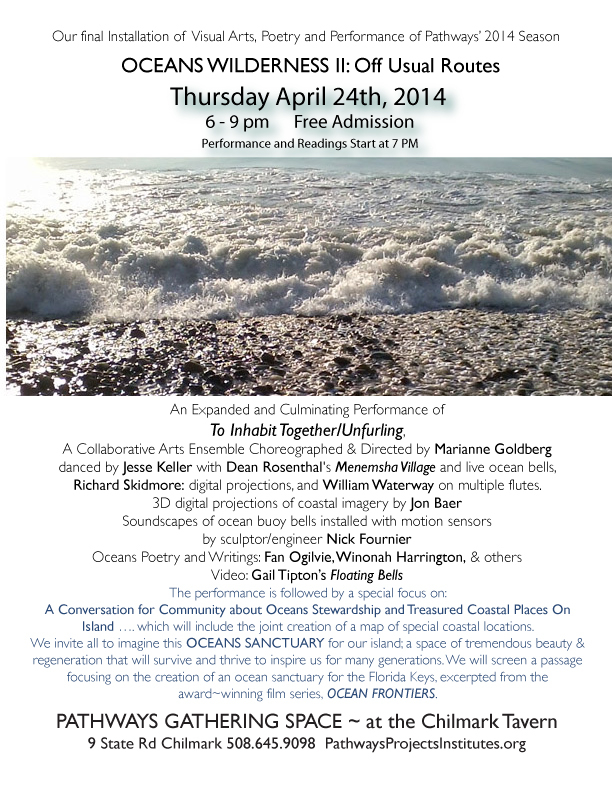 With excerpts from OCEAN FRONTIERS I and Oceans poetry by Bob MacLean. 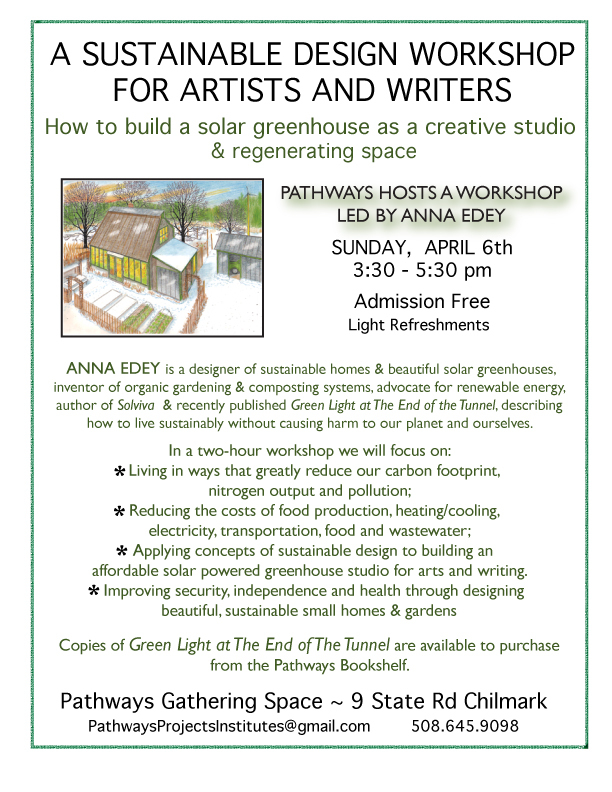 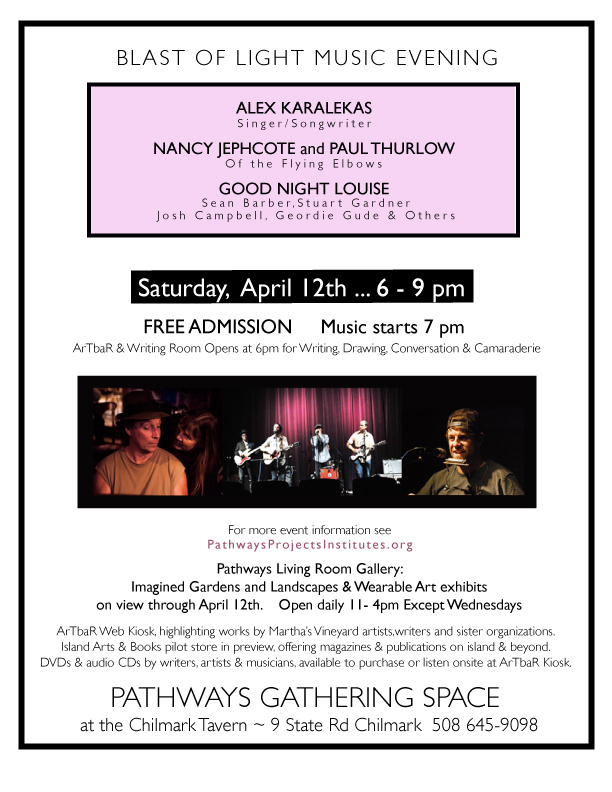 Pathways IMAGINE ARTS festival is a month~long celebration of imagination, wit and visionary creativity, with Multi~Arts Installations , Poetry At Pathways Readings, Music Blasts of Light, and more! 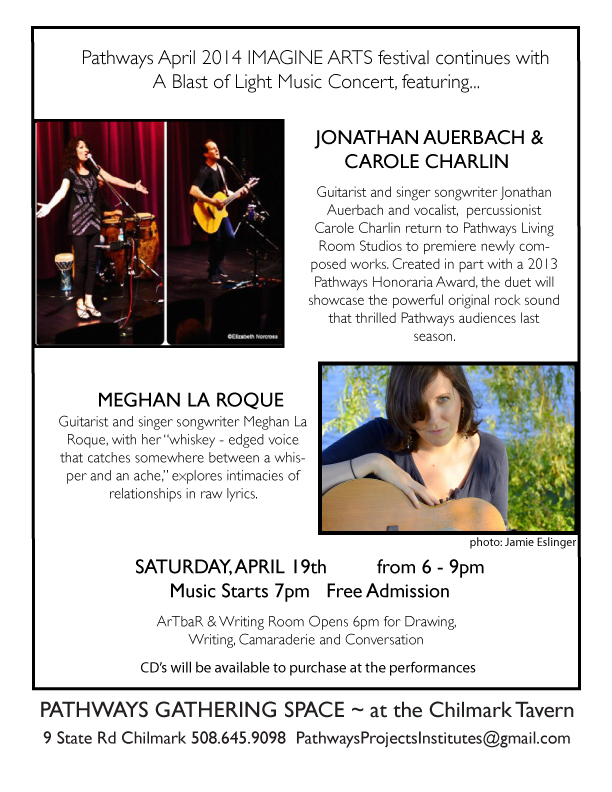 Pathways Month-Long Imagine Arts Festival Opened with….